Following on from the 2014 and 2015 editions (which you can view here and here respectively), the latest edition of the 'Players to Watch' is now up and running. This year, the list has been reduced to ten players, rather than twenty, but the idea remains the same. It will focus on ten of the most promising teenagers in the women's game and follow their progress throughout the year. The only criteria is that the players must be below the age of 20. 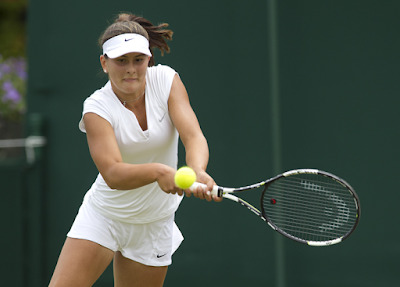 There are a selection of teenage players at different stages of their development, but all of whom have the potential to really push on in 2016, whether that be establishing themselves inside the top 100 and on the WTA Tour, making an impact at the ITF level in their first full season at that level or becoming a force in the junior game. However, whatever their aims for 2016, all of the players have the potential to reach the upper levels of the women's game in the coming decade. Former Junior #3. Junior French Open champion in 2014. Seven ITF titles so far, including five $25k and one $50k events. First WTA main draw win against Aleksandra Krunic in Bad Gastein in 2015, where she made the quarter-final. First WTA semi-final in Moscow last year. Reached the third round in her debut Grand Slam event at the US Open in 2015. Former Junior #1. Junior Australian and US Open champion in 2013. Three further Grade 1 junior titles, plus Grade A junior title at Orange Bowl in 2012. First career WTA win in Auckland 2014 beating Roberta Vinci in three sets. 17 victories over top 100 ranked opponents. First career WTA title in Nottingham in 2015. Current Junior #2. 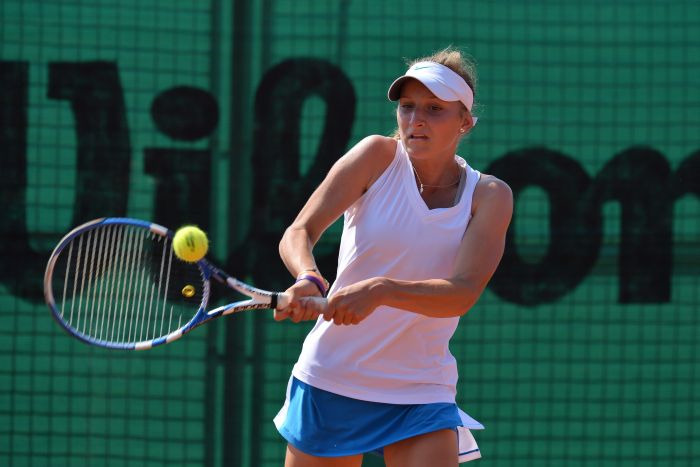 Won Grade A Trofeo Bonfiglio in 2015 and Junior Fed Cup. Has reached three junior Grand Slam semi-finals at French Open (twice) and Wimbledon. Beaten finalist in first ever senior ITF event in Sharm El Sheikh. First ITF title in her third event at Zielona Gora. Recorded victories over Andrea Hlavackova and Ons Jabeur to reach final round of qualifying for WTA event in Prague. Former Junior #4. Junior Wimbledon champion in 2015 without dropping a set. Three further Grade 1 junior titles in 2014. 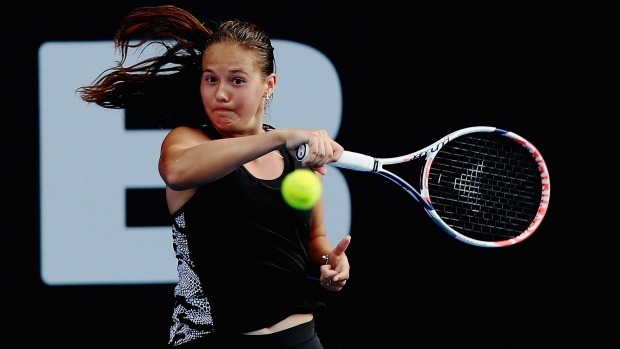 Won the title in her second ever ITF tournament in Shymkent at the age of only 14 in 2014 without dropping a set. Graduate of Justine Henin's tennis academy in Belgium. Current Junior #18. Formerly Tennis Europe U14 #1 and Les Petit As champion. Current Tennis Europe #6 ranked junior. US Open junior doubles finalist in 2015 and Wimbledon singles quarter-finalist. Back-to-back semi-finals in Grade 1 Yucatan Cup and Grade A Orange Bowl to finish 2015 season. Took a set off former world #20, Alisa Kleybanova, in her first ever ITF senior main draw match. Current Junior #40. Won junior Grade A title at Abierto Juvenil Mexicano in November 2015 beating several top 10 ranked junior players. Backed it up with a run to semi-finals of Eddie Herr International. Top ranked American player in her year by TennisRecruiting. Former Junior #1. Junior French Open finalist in 2014. Won Grade A title in Osaka and reached final of Grade A Orange Bowl in 2013. Won first ITF title in 2012 at Sharm El Sheikh. Won first $50k title in New Delhi in 2014 and added three further ITF titles in 2015, including second $50k title in Ankara. 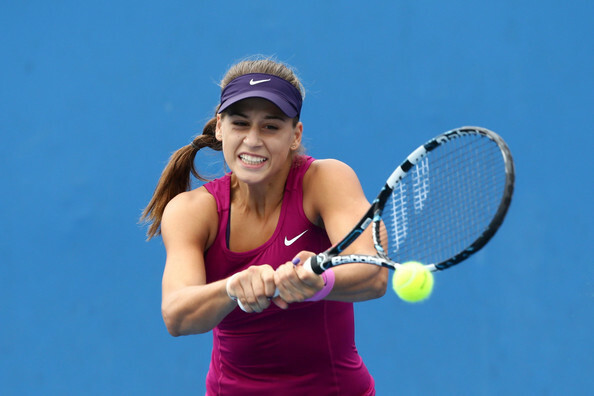 First top 100 victory in 2015, beating Vitalia Diatchenko in St. Petersburg. Current Junior #4. Won Grade A title at Orange Bowl in 2015 to add to Grade 1 title at Canadian Open earlier in the year. Helped Canada to semi-final of junior Fed Cup, winning all of her singles matches. Reached the final in her first senior ITF event in Gatineau, beating three top 300 players in straight sets. Current Junior #1. Won the junior US Open title in 2015 dropping just a single set. Also won Grade A title at Abierto Juvenil Mexicano in 2014 and two Grade 1 titles at Roehampton and Eddie Herr. Two ITF titles in 2014 and added a further three in 2015, including first $25k title in Cairns, where she picked up her first top 300 victory. Former Junior #1. Grade 1 titles at Easter Bowl and International Spring Championships, plus Grade A title at Trofeo Bonfiglio in 2014. Beat Dominika Cibulkova at the 2014 US Open to record her first ever WTA and Grand Slam victory. Won two ITF titles in 2014 and added a third title in 2015 at Rancho Santa Fe. Reached third round in Miami, beating 29th seed Zarina Diyas before losing to Serena Williams.